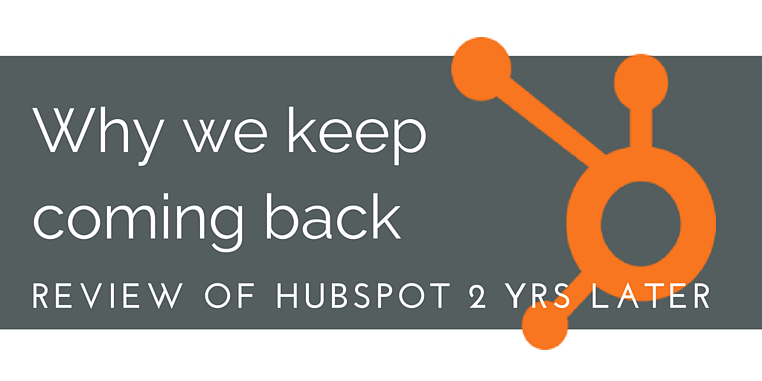 Back in early 2014, I wrote a blog post on why we chose HubSpot as our marketing automation platform. Since that time, we have learned a lot – albeit making a couple mistakes along the way. We've gone on to implement the system for several of our clients. Over the course of two years, I believe HubSpot has taken our internal marketing to another level. I've listed a few of the greatest benefits below. Before using HubSpot, it took a designer, developer, copywriter and marketer to write an ebook, design and implement a landing page, or execute a promotion strategy. Being so busy performing marketing work for our own clients, we never had enough time to do this ourselves. HubSpot has allowed us to create over 5 downloadable offers and 15+ different landing pages using just one user-friendly resource – no coding necessary. This has resulted in hundreds of downloads by both prospects and clients. 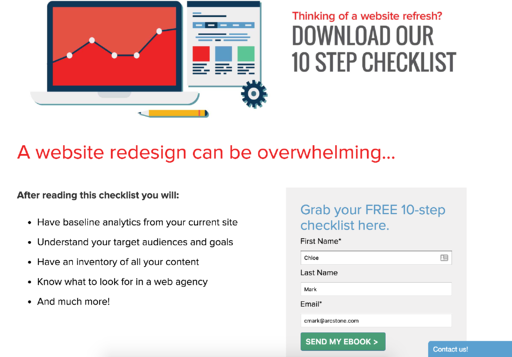 When first implementing HubSpot, I created an automated email campaign for our website redesign blueprint offer. This initially took a few hours of work but it has been running automatically for years now with minimal maintenance. To me, this is invaluable as it creates a compounding effect the more you use the system. Each workflow you create saves time, money and effort down the road. 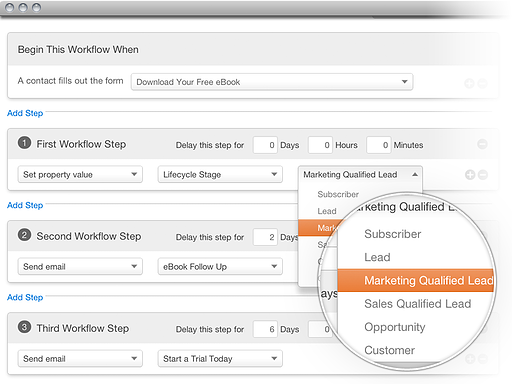 Another side benefit of the workflows is that after an individual completes a workflow, they can be automatically added to the next appropriate marketing list and / or it can trigger an internal email to have our team reach out. Features like this aren't as doable using many other email-only systems. 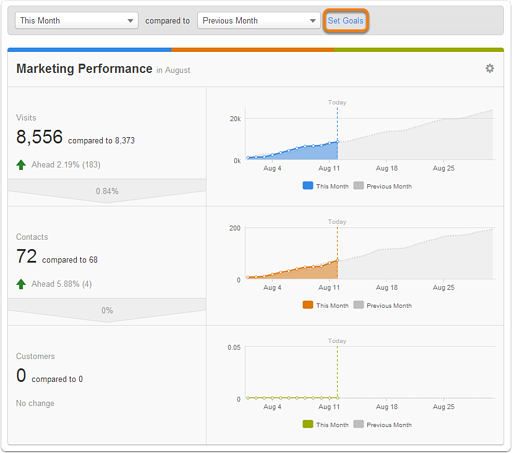 One of the biggest advantages I've found using HubSpot is tracking a single campaign or initiative across platforms using their campaign feature. For instance, using the redesign ebook example above, I am able to track the success of that ebook across all social posts, emails, blog posts, landing pages and forms. This automatically forms a holistic view of the campaign performance. Without HubSpot, this would take hours using Google Analytics, Tag Manager and spreadsheets to aggregate and parse the data. Although this may seem like a small benefit, being able to test and change out calls to action on individual blog posts has resulted in a lot of conversions for us. For instance, we currently choose from about 4-5 different calls to action depending on a blog post topic. We can then see which ones have been most effective and which ones may need to be redesigned or rewritten. For example, our most successful call to action can be seen at the bottom of this post. Although HubSpot can be quite expensive and time consuming, it seems to have not only elevated our own marketing but allowed us to test out the latest tactics for clients. Marketing automation is still fairly new in the industry but I expect nearly all customers to be using a variation of this over the next few years.